Chad Roberts fields a bouncing ball at third base for an out. 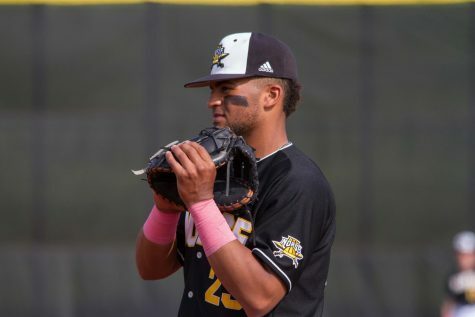 The NKU baseball team struggled in Sunday’s doubleheader against Milwaukee, losing game one 15-0 and losing game two 8-1. The Norse are now 17-30 with a 10-13 record in the Horizon League while the Panthers improve to 19-27 and 9-14 in league play. 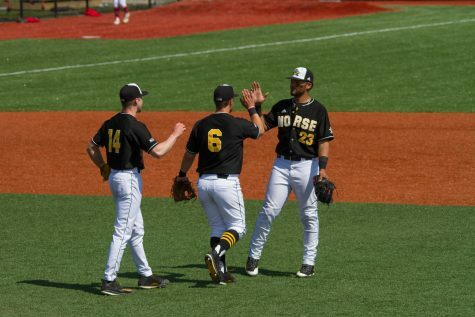 The Norse remain in third place in the conference standings but are just a game up on Valparaiso, Milwaukee and Oakland, who are all tied for the fourth seed. 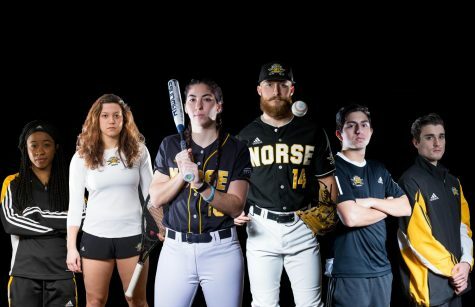 The Norse will return home for senior day on Friday to face Oakland for a doubleheader. Trey Ganns struggled in this start, giving up eight hits and six runs in just two innings of work. 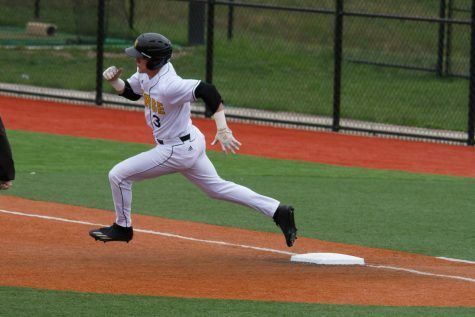 Ben Chally hit a first inning triple that scored two runs. That was followed by an RBI double from John Boidanis. Boidanis started the scoring again in the third inning with a double that scored Chally. Mike Jordahl then doubled to score Boidanis. The Panthers ended the inning with a 7-0 lead that they would not relinquish. The Panthers collected 20 total hits against the Norse. Only three Panthers failed to get a hit and only two Panthers failed to reach base at all. 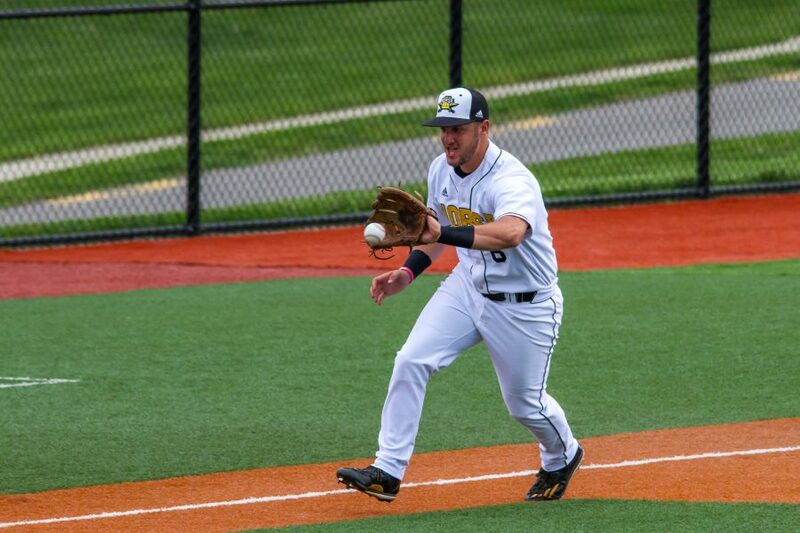 Daulton Varsho finished the game 4-5 with three runs and three RBI while Boidanis went 3-5 with five RBI. 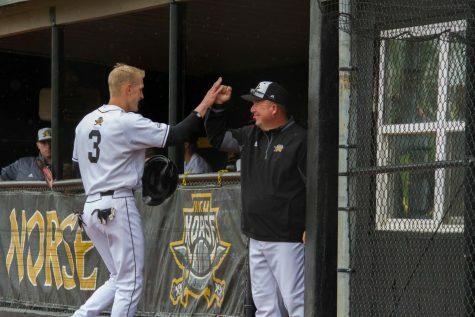 Meanwhile, the Norse managed just four hits in the game and just one hit against Milwaukee starting pitcher Austin Schulfer. 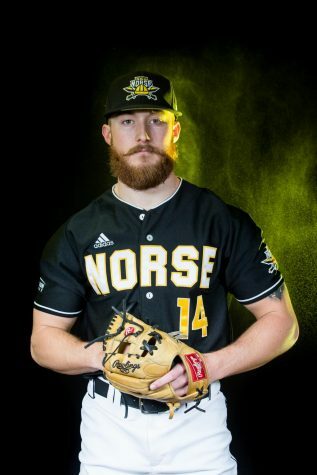 Schulfer threw 7.0 innings and struck out five Norse batters and didn’t allow a run to earn his sixth win of the season. 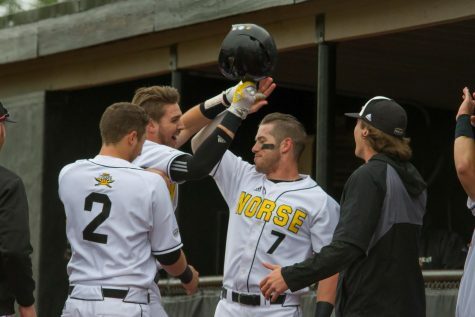 Jake Richmond, TJ Alas, and Ganns collected three of the four Norse hits on the day. 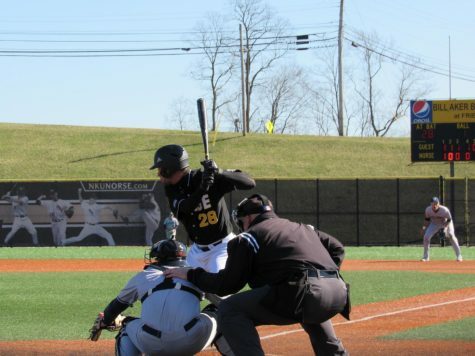 NKU committed seven errors in this game which accounted for five unearned runs. It started in the first inning, when Varsho reached on an error that allowed a run to score. That led to a Jordahl single that scored Varsho to give the Panthers a 2-0 lead. A Jordahl double in the third inning plated two more runs and gave Milwaukee a 4-0 lead. The Panthers then took advantage again of Norse errors, scoring three unearned runs off Jordan Menfee to take a 7-0 lead. The Norse managed to score on a Mike Moffatt single that scored Chad Roberts but that was all the Norse could manage. 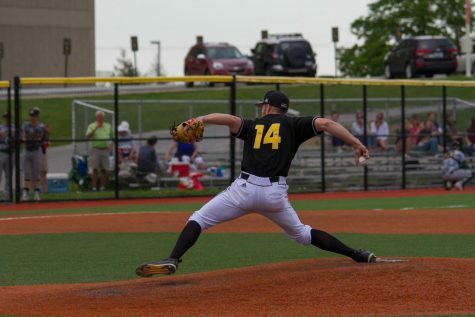 Alex Fischer would earn the victory for the Panthers, throwing 7.0 innings while giving up just two hits, no runs while striking out seven. Brody Basilone would take the loss for the Norse. Jordahl went 3-4 with four RBI while Varsho went 2-4 with three runs scored. 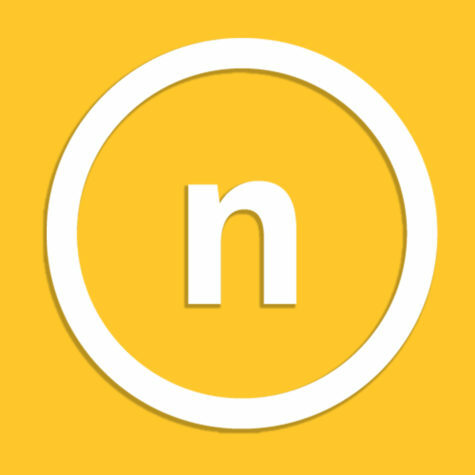 Six different Norse collected hits in the game.